iMac is one of the best computers you can buy right now on the market. First debuted 20 years ago, iMac quickly gained its popularity among users and experts, with praise directed at its beautiful design and optimized hardware. iMac has been through seven major upgrades and has been part of our lives. Apple has been improving its iMac lineup since release, making it a compelling choice on the market. Last year, the Cupertino firm announced iMac Pro following months of rumors and leaks. The iMac Pro is designed for professional users who are looking for a powerful computer on the market. The new iMac Pro retains what we have loved about the iMac while adding the Intel Xeon processors to the lineup. 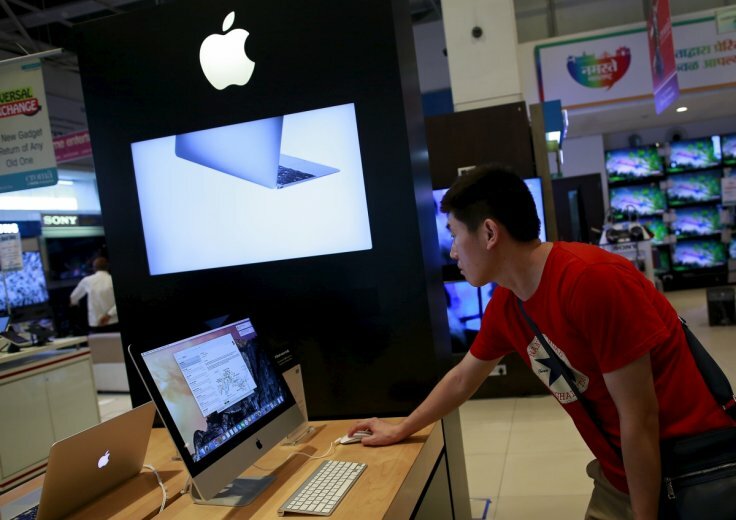 However, Apple is now selling six different iMacs in two screen sizes on the market. If you are confused between the 21.5in model and 27in model, then we are here to help you decide which one is right for you in the section below. For some background, Apple now delivers iMacs with a 5K display, but they are not cheap out there. If you are going for the maxed-out version, you are looking at around $2,299, while the basic model starts at $1,799. Buying a new iMac with the 5K display will burn a serious hold in your wallet, but it offers great value for money. Apple iMac lineup is now available in two screen sizes. If you are looking for a smaller Mac computer with advanced features, then the 21.5in model should be a better choice. 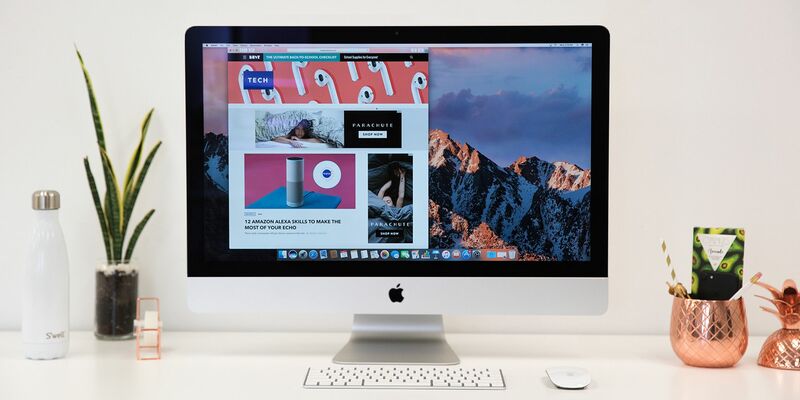 What sets the 21.5in iMac from its bigger siblings lies in its affordable price tag. Apple is now selling 21.5in iMac with 4K display out there with a lot of exciting features and changes like 7th-gen Intel Corei5 processor and Radeon Pro GPU. In reality, Apple iMac is specifically designed to handle every task you throw at it ranging from editing photos to rendering videos. If you are a professional image editor, then we recommend you go for the model with the dedicated graphics card. Basically, the adoption of 4K displays offers a much-improved picture quality and immersive experience for any user. 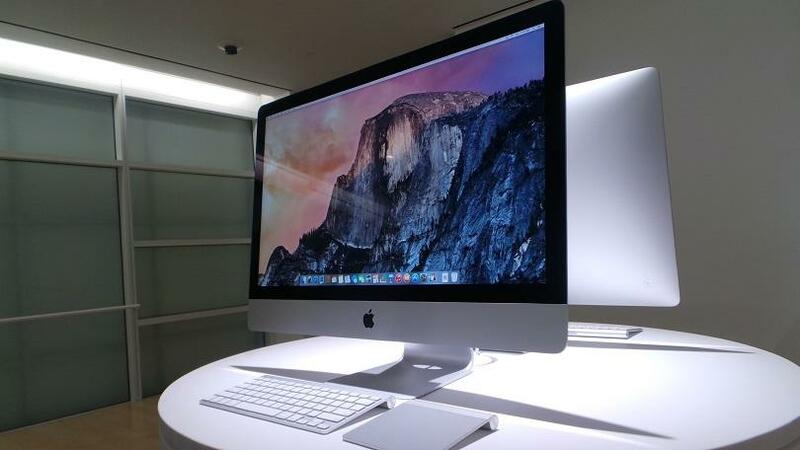 The entry-level iMac costs $1,099 for the model with dual-core 7th gen Intel Core i5 processor and 8GB of RAM. The basic model only features Intel Iris Plus Graphics 649 GPU, but it delivers an impressive performance. Of course, the model can handle your daily tasks, but it proves a little laggy if you run heavy-graphics processes on it. The maxed-out 21.5in iMac features 1TB Fusion Drive, allowing for faster operation and faster file transfer. However, it does not come cheap out there as it now retails for $1,499. For that price, you also get 7th-generation Intel Corei5 processor and Radeon Pro 560 with 4GB video memory. Sources say that Apple will add 8th-gen Intel processor to its iMac lineup next year. This makes sense seeing that Apple did the same thing to its MacBook lineup of laptops. In July, Apple announced a refresh to its MacBook Pro series with the addition of Intel’s Coffee Lake chip and an improved design. The 27in iMac is one of the most powerful computers on the market. All 27-inch iMacs now feature 5K displays, allowing for an exceptional experience for users worldwide. The basic device costs $1,799 for the model with a 5K display and 8GB of RAM. Apple is now selling three different 27-inch iMac models on the market and there is no big difference. The maxed-out model is packed with 3.8GHz quad-core 7th generation Intel Corei5 processor and Radeon Pro 580 GPU, allowing for a significant performance boost compared to its predecessors. If you are in the market for a powerful computer that meets your heavy tasks, then the 27-inch iMac should be your perfect choice. However, the question is do you really need the maxed-out version. In reality, for the same price tag, you will also get the new MacBook Pro, which features Intel’s Coffee Lake processor and an improved design. Sources say that the MacBook Pro is having its upper hand over the iMac thanks to its high performance and portability. It seems that Apple needs something special to boost its iMac lineup. According to reports, the Cupertino firm has been working on a new iMac with a new chip, T2 chip, and an AMD Vega GPU offering. If you are in the market for an iMac model, then you have come to the right place. Hopefully, you find out which model is right for you and don’t forget to share with us in the comments below.